There’s no getting away from it – Chelsea are something of a FA Cup bogey side for Liverpool. Over the years, Chelsea have reserved some of their best cup performances for clashes with the Merseysiders. Clive Walker dined out on this for the rest of his career. There’s no love lost between the two clubs, and personally, I have no time for Dalglish & Co. It dates back to January 1978 when the two clubs met in the third round of the competition. Chelsea trounced the reigning European Champions on that cold afternoon, winning 4-2. In the queue for Fulham Broadway station, one scouser turned to me and said: “No disrespect pal, but to let four goals in against a team like Chelsea is a bloody disgrace.” I’ve never forgotten that comment and every time Chelsea beat Liverpool, I remember that fellow’s disdain and it reminds me that success is never permanent in football. Well, a lot of water has flowed under the bridge, Stamford or otherwise, and the decade of Liverpool dominance has long since passed. Boot on other foot? Perhaps. Back to 1978 and one of the best individual displays I have ever seen – from a young player called Clive Walker. He ran Liverpool ragged that afternoon – it was especially pleasing to see the late Emlyn Hughes in such a pickle. 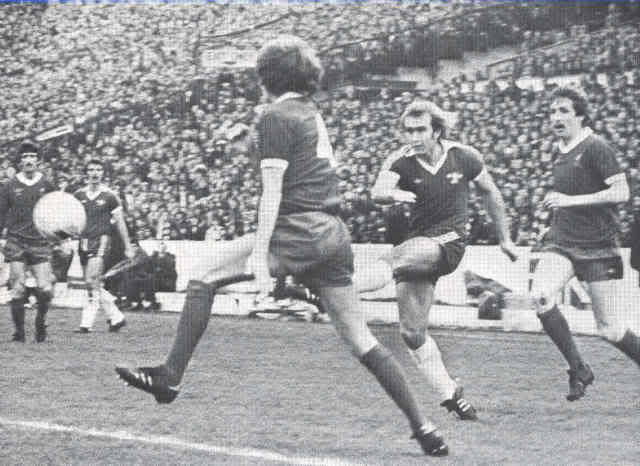 Walker did it again in 1982, producing an even bigger shock for the Reds as Chelsea were entrenched in the old Division Two by then. In 1997, Chelsea came back from two-down to beat Liverpool 4-2, inspired by Gianluca Vialli.